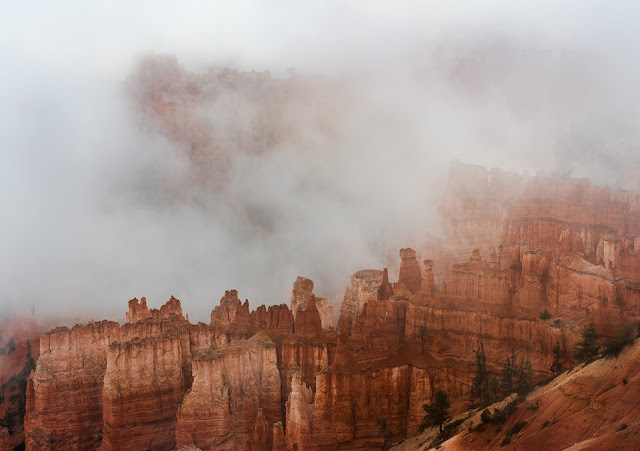 Hoodoos in Fog - A7R3, 73mm, f/9, 1/2s, ISO 100. Bryce Canyon was visited by 2.6 million people last year and has been seriously photographed by at least hundreds of thousands of people over the years. It was a delight to have some weather in the area which created fast rolling fog through the amphitheater, allowing me to hopefully make some images that are just a little different from all the other scenic shots.